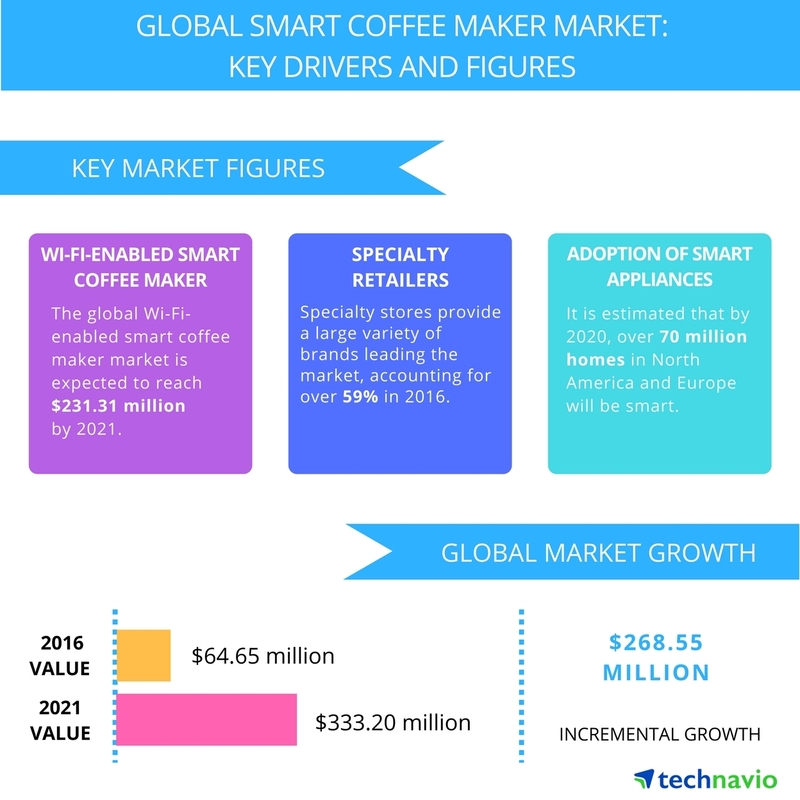 LONDON, UK – Technavio analysts forecast the global smart coffee maker market to grow at a CAGR of close to 39% during the forecast period, according to their latest report. The research study covers the present scenario and growth prospects of the global smart coffee maker market for 2017-2021. To determine the market size, the study considers revenue generated from the sales of smart coffee makers by the global vendors. 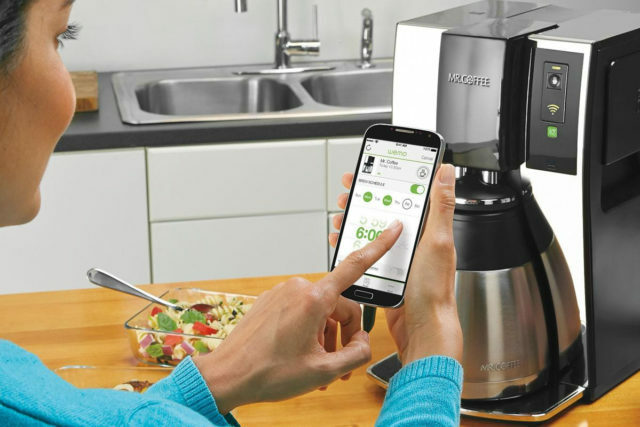 The market size of smart coffee makers is expected to reach USD 333.2 million by 2021. EMEA will be responsible for generating maximum revenue and also the highest incremental growth for the market through the forecast period.